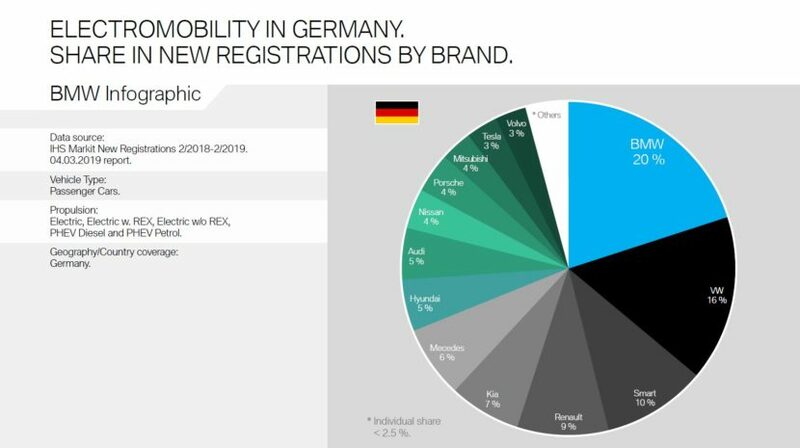 BMW decided to put together the sales figures for electrified cars on various markets, to show the world how things are evolving. The Bavarian company released a couple of infographics starting last year, by month, to show how things change depending on various factors. 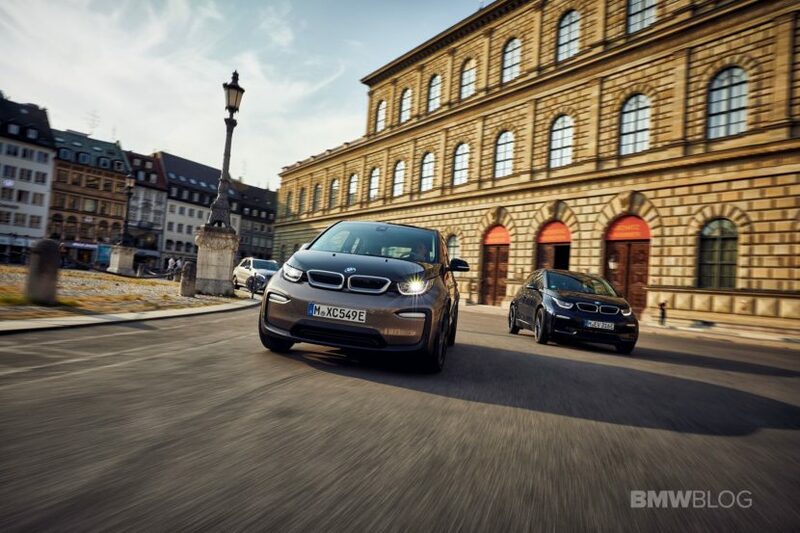 The numbers for February are in and the Bavarian supremacy is still being upheld in Germany and the EU, with BMW selling the most electrified cars. Over the course of February, BMW sold 16 percent of the total electrified cars sold in Europe. Second place went to Volkswagen and Nissan with 11 percent. Renault came in third with 10 percent overall, while Tesla accounted for just 7 percent. Things looked even better for BMW in Germany, with a 20% cut of the market, followed by Volkswagen in second place with 16 percent and smart on the podium as well with 10 percent. Renault, Kia and Mercedes follow with 9, 7 and 6 percent respectively. Moving to a global scale pushes BMW to third place. BMW’s sales accounted for 8 percent of all electrified cars sold worldwide last month, a more than decent figure. Tesla and BYD (Build Your Dreams, China) share the top spot with 11 percent, while Beijing Auto, another Chinese company, comes in second with 9 percent. As an interesting note, even though you might’ve not heard about BYD before, BYD Tang and BYD Qin are the best selling PHEV models worldwide in 2018, the podium being completed by BMW’s 530e model. All in all, BMW put in quite a performance and the 530e model is proving to be more popular than anticipated. Considering the Bavarians are selling some of the most expensive cars in this particular ranking, the numbers speak for themselves. With the 330e and the BMW X3 xDrive30e going on sale this year along with a new 745e and xDrive45e X5, the race to sell the most electrified cars will heat up.